To bring ease in accessing the Nikon L25 Manual information, here we provide you the table of content for this article. By this Table of Content, you can jump to the certain topic simply by clicking the Table of content below. This is an article about Nikon L25 Manual. This article is aimed to provide you the manual of this amazing Nikon camera product. Therefore, whenever you need the information about this product, you can simply download it in this page. Further, for the new user, this manual might be helpful to help you understanding this product. While for the old ones, in case you have lost your Nikon L25 Manual book, the manual below can be treated as a replacement. What we have sensed since the very first time is that everyone needs the manual of a product, especially for a digital camera product. With this manual, there will be a lot of information obtained. Something like specification, camera parts, function, and others will be so much beneficial to support the operation of this camera. Therefore, we aimed to provide you the Nikon L25 Manual for a better use of this amazing camera product. 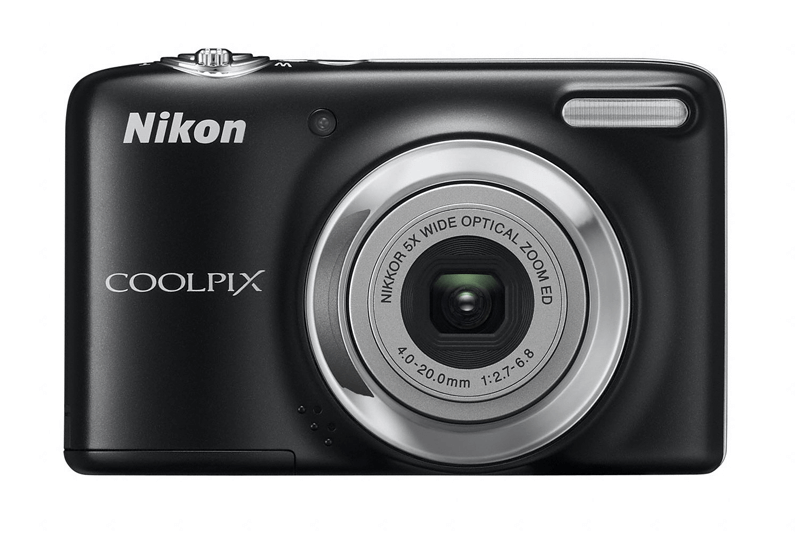 Similar to the predecessor, Nikon L25 is also considered as a compact digital camera. Based on the Nikon L25 manual, this camera is specially designed in ergonomic body dimension at 96 x 59.7 x 28.8 mm. Meanwhile, the overall weight is approximately 164 gram including SD memory card and battery. The L25 is able to give its best performance on the temperature of 0 degree Celsius up to 40 degree Celsius. The front side of camera consists of image sensor, built-in lens, and super-zoom lens. The power on/off and shutter button can be easily reached on the upper part, as shown in the Nikon L25 manual. Big LCD Display is dominated the back part along with scene modes, navigation buttons, menu settings, and trash button. The L25 is specially packed in two optional case colors; red and black. It is Nikon L25, the new product officially launched in this recent time. This product is mainly purposed to continue the success of its predecessor, the Nikon L24. Even it looks similar on the outlook, but you are going to find several improvements especially on the features and software. Let’s unveil the L25 from both outlook and performance through the explanation below. Nikon L25 manual states that the camera is featured 16.1 million effective pixels of CCD optical sensor. This image sensor works very well in resulting super-fine image resolution at 4608 x 3456 and 720p HD video format. On the lens sector, you are going to find NIKKOR built-in lens with 4.6-23mm focal length and f/3.2-6.5 aperture. Further, constructed by 6 elements in 5 groups and 5x optical zoom, you will be amazed by the image focus result. Aside from creative shooting modes inside, the users also have the opportunity to capture 1.2 frames per second in Continuous Shooting mode. Thing you would like most is that the Lithium Ion battery will accompany your journey until the latest 680 shot. The manufacturer also set EXPEED C2 as the image processor for mode natural and optimal pictures, as stated in the Nikon L25 manual. This chip also the main key to make the performance two-time faster than before. Now everything is easy to control from its big 3 inches TFT LCD Display. Having 230k-dot and 5-level brightness adjustment, there’s no doubt that the graphic will be bright and clear. Check the specification of this camera’s predecessor in Nikon L24 Manual. *Spec above was taken on Nikon official website. It will be such a big mistake for not taking Nikon L25 on your journey. This camera provides all you want for ordinary photography activities. The features like Expeed C2, 16.1MP image sensor, NIKKOR lens, big 3” LCD, and powerful battery are rarely to find on the competitors. That entire superiority can be your own by 60 Euro. As it is stated before, this product is classified as the old product. That’s why we think some people might lose the manual of it. Therefore, to anticipate this thing, we provide users the Nikon L25 Manual as a replacement from the old one. On the other side, this manual is not only useful for the users. But it will be helpful too for the one who wants to learn deeper about this camera. Therefore, if you want to understand this camera better, referencing to below manual will be a good idea. The manual will be provided in PDF. So, if you want to access it, it will be better for you to download the PDF reader first. That’s all of the Nikon L25 Manual information that we need to share. Any other idea, opinion, or critique to both these product and articles, the comment session below is available for you. Further, if you think this article is useful, you may share it to your own page. Therefore, the information of Nikon L25 Manual can be spread in the wider range of audience.